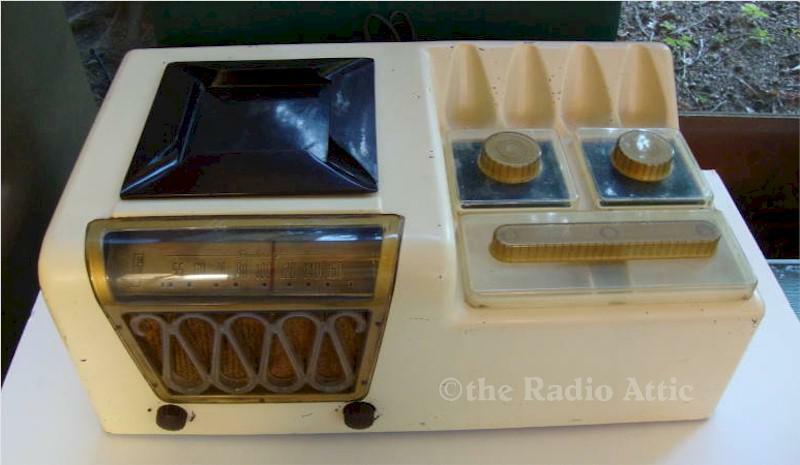 This is a very unusual and hard to find radio. It combines smoking with a radio. There are compartments for cigars, cigarettes and pipes as well as an ashtray. These are very hard to find complete and without cracks as well. This one was well taken care of. The radio plays very well too. Add $48 for domestic shipping. You are visitor number 1,963 to this page.